Smile & Zing- What does it mean? Smile & Zing - What does it mean? Every company has a slogan whether you know it or not. When you think of Tesco’s, you think of “every little helps!”; when you think of Mcdonalds it’s “I’m lovin’ it”; if you think about a Kitkat, “Take a break” comes to mind. Some companies promote their slogans (or taglines) and others don’t bother so much but either way, they have one. It is just a memorable phrase used in advertising and marketing which plays on your mind to associate one thing with a certain brand. 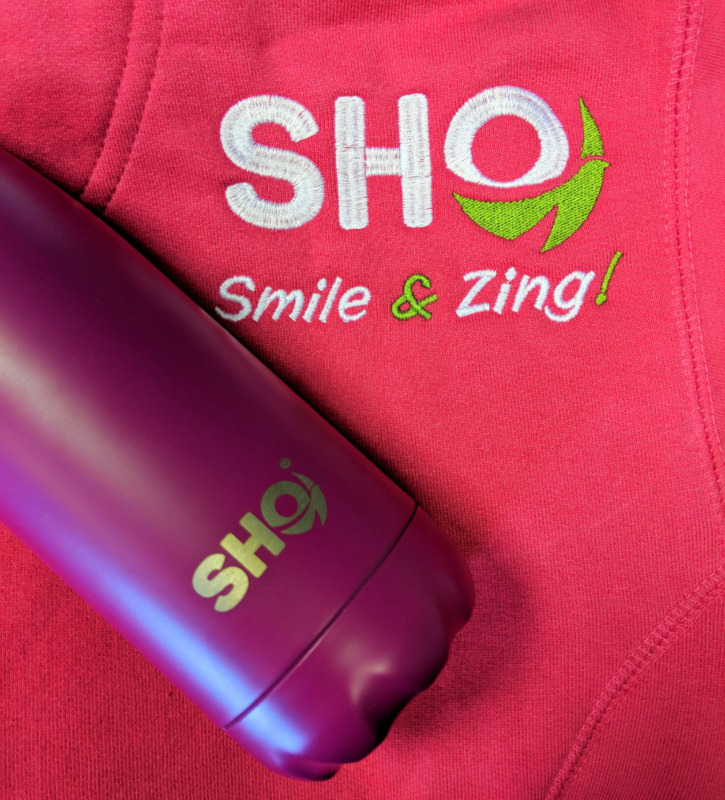 Here at SHO, you may have seen ours on the hoodies we wear, at the end of our videos, or maybe even noticed it popping up in our hashtags on Instagram. We don’t advertise it or go out of our way to make it known. It is just something that each and every one of us tries to do in our everyday job in the content we put out and the service we deliver. It is that simple. We want to make people happy (smile) and give them a little bit extra (zing). There is no reason or rhyme to it and there is no solid definition because every one of us has our own interpretation of it. For Emily, it reminds her of something that makes you happy and smile. For Trinity, it is happy and tasty. Or to paraphrase “ You got a bit of something. Like Zing is like Key Lime pie, it has a kick to it”. For Alice, it is all about the energy and enthusiasm with a bit of a “pop”. For Liam, its good times plus a little bit extra. For Simon, it’s happiness and fun and brightening up your day. For Charlotte, it’s about keeping people happy, being happy and that little bit more. After working here for nearly a month, I have found out what it means to me. It took me a while to get there but I now understand! It’s a warm fuzzy feeling you have when you come in and make someone’s day. It’s the smile and laughter you have with all the people around you. It’s that little bit more we do to make sure everyone is OK and happy. And it’s the “Zing” which separates us from being like any normal 9 to 5 office based company. You will have seen from our vlogs and posts that we aren’t at our desks all day- and we wouldn’t want to be either! We have meetings in the warehouse or outside, we are out shooting videos and taking photos, we are laughing with each other (have you seen any clips of Alice and Trinity together?!) and doing team activities which brings out Simon’s competitive side which makes us laugh even more. We always wanted a slogan that describes us as a brand and it’s become pretty obvious that it isn’t just about selling vacuum bottles or food flasks (although that does help to keep us all here!). It is about delivering a good service and giving our customers more than they bargained for and going that extra mile to keep people happy and entertained. We have core values and promises which keeps us focused on moving forward and improving every day in our job roles and for the business but our slogan is just for us and reminds us that no matter what we are doing, do it with a smile and bring that something extra to the table. So keep on smiling and zinging because at the end of day, what is life without a little laughter and happiness.